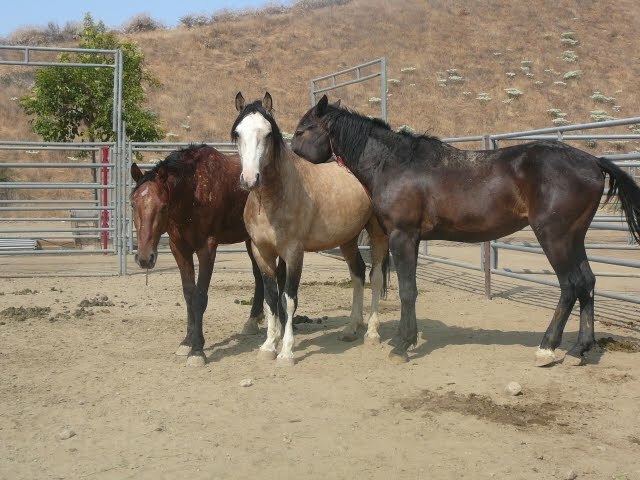 BLM wild mustang adoption is something that requires a lot of thought but can also provide a great reward. The BLM mustang is a versatile horse that comes in all shapes and colors. Best of all, they can typically be adopted for just $125 from the BLM. Mustangs are an integral part of American history and known mostly for their part in the iconic west. 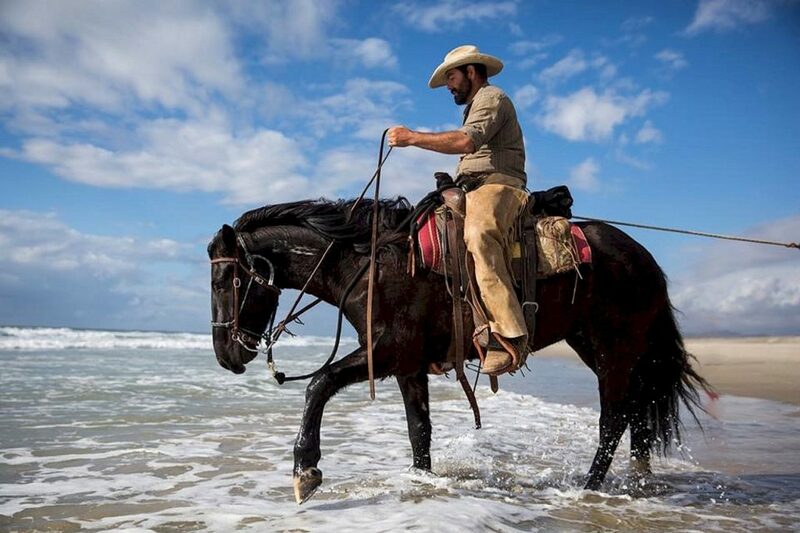 Horses were originally brought to American by the Spanish in the 16th century. As the human population in America increased, so did the horse population. During this time in history, horses were an integral part of day to day life. They were needed for transportation, plowing fields, pulling wagons and more. To appreciate the role of the horse in early America you have to remember that we started with no cars, no large machines and no electricity. Horses were responsible for everything from delivering the mail to carrying our soldiers into battle. When lands are abundant and you need horses to run your day to day life, raising them becomes very important. Feeding large numbers of horses is not easy though. Farmers would, understandably, turn their breeding horses loose on the range to forage on natural grasses. When new mounts were needed, they simply went out and rounded up the horses. The ranchers would select the horses they needed and turn breeding stock back out. It was commonplace to turn loose stallions with the qualities you wanted to ensure the foals were useful. Farmers would turn out draft horses so the foals would be larger boned to work the field. The Calvary would turn out Thoroughbreds to get a lighter horse with more stamina and ranchers would turn out stock type horses to get excellent ranch horses. As time went on horse bands began to mix and adapt. Because the horses bred unchecked in the wild, more foals were born than ranchers needed. Eventually, machines replaced horses over many years and ranchers stopped rounding up their excess breeding stock. These horses became the modern day mustang. Some mustang herds are known for being small, some for being larger, some for being drafty and some for being very Spanish in type. Whatever you are looking for in a horse you can probably find it in a mustang. From ponies to cow horses to jumpers and draft type horses, the American mustang is versatile! Characteristics all mustangs share typically include hard feet and a hardy constitution. They have evolved over hundreds of years to adapt to varying levels of forage and water. They have adapted to traveling many miles each day for food and water as well. Sure, there are exceptions. Sometimes you’ll find a mustang with sensitive feet or one that is a “hard keeper” but typically they have strong feet, are surefooted and hardy. The basic requirements for adopting a BLM wild horse or burro are that you be 18 years of age with no history of animal abuse or cruelty. You must have a safe trailer to transport the horse home in and adequate facilities to house him. Corrals for wild mustangs must be 400 square foot minimum which comes out to about 20’ x 20’ wide. In addition, you will need to provide adequate food, water and shelter. Shelter requirements differ from state to state. For a detailed list of adoption and shelter requirements, visit the BLM website. The cost to adopt a BLM mustang is very low. Mustangs can be adopted or purchased starting at $25. The standard adoption fee is $125 although, that fee can go higher if the horse is part of a competitive bid auction. If you aren’t picky about color at an adoption event, you should be able to adopt a mustang for $125. Likewise, if you can visit the corrals for an individual adoption appointment, you should be able to select the horse you like for $125 as well. The adoption fee is only the first part of the costs. You still have to feed them, pay for farrier and vet bills that come with normal horse ownership. We created an article on how to estimate those costs here: Can you afford to adopt a mustang? A local adoption event is a great place to look for your new partner. Typically these are more centrally located than the holding facility and no appointment is needed to view or adopt the animals there. BLM will try to bring a variety of ages and colors to choose from. Additionally, if there are any TIP trainers or volunteers with trained horses close by, there may be an opportunity to adopt a gentled horse as well. This, of course, is never a guarantee but is sometimes a possibility. At the adoption you can view how horses interact with each other. You can see the ones that are friendly, the ones that are flighty, the ones that are playful and even the ones that are worried. Take the time to look through the whole pen and you are sure to find one that catches your eye. 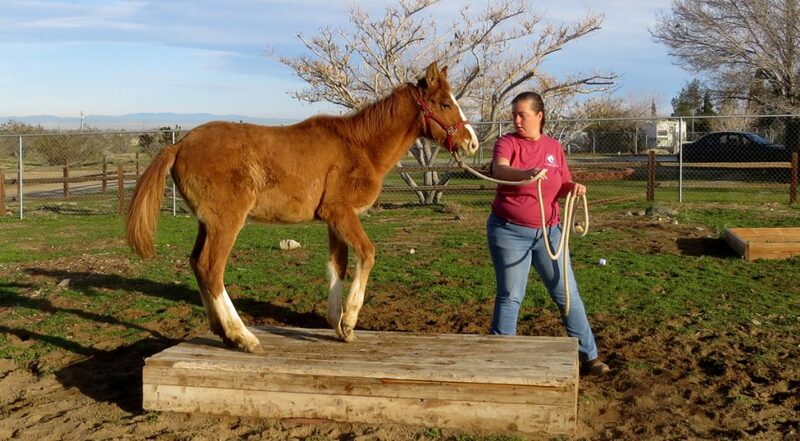 BLM Filly being trained by a volunteer for an adoption event. 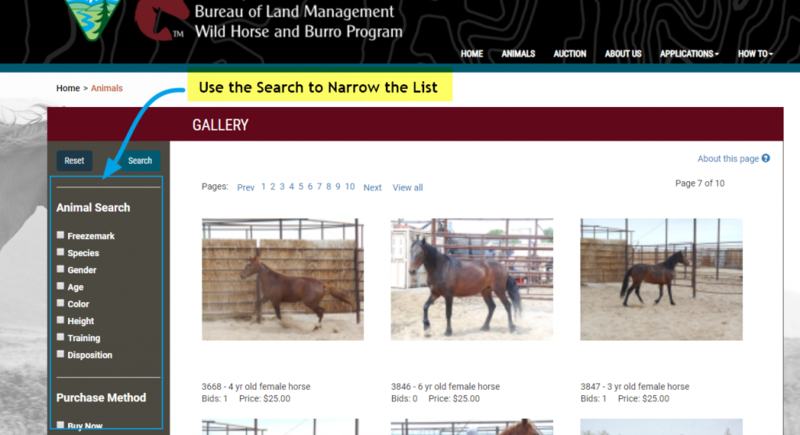 Several times a year the BLM hosts online mustang adoptions. This process is quite a bit different from adopting in person. 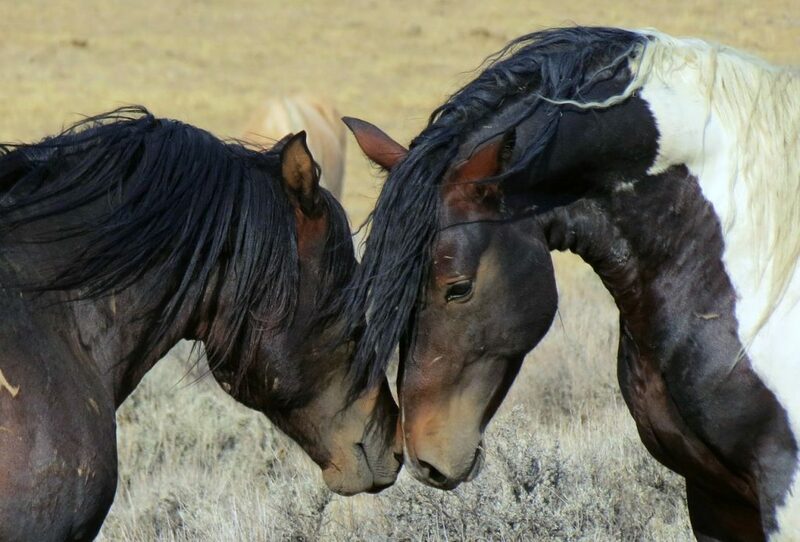 The online mustang adoption gallery showcases a small sample of horses available at the BLM corrals across the United States. This repository isn’t every horse available at those corrals, it is merely a sample of what might be available. Once you login to the online corral you can click on Animals in the menu header to view the horses available for adoption. Once you are in the adoption gallery, you can use the search boxes to narrow down the list. That way if you are looking for only mares, or only palominos you can get a smaller list. Keep in mind this is not a complete list of what is available. These are only the horses that have been photographed and added to the website. There are thousands more available than what is shown here. If you are looking for something specific, call your local corrals and ask. The application and bidding process are all completed online. Once you have been approved, you can start bidding on the horse or horses you like. 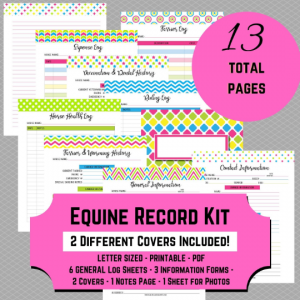 You will then need to follow the steps on the website to finalize your documents and arrange to pick up your new horse! 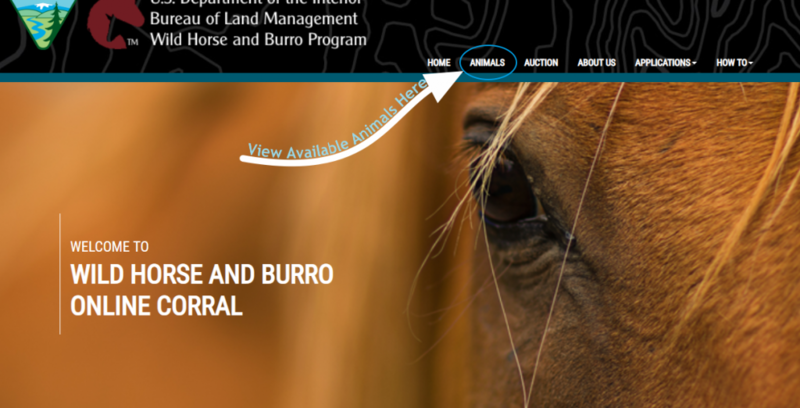 New this year (2019), the BLM is offering a $1,000 incentive for individuals who adopt a wild horse or burro. This is an awesome opportunity if you have been thinking about adopting. The incentive is not paid out immediately, rather they pay $500 within 40 days of adoption and the remaining $500 within 60 days getting your horse’s title one year after adoption. The mustang adoption incentive program is something you should definitely look into if you are going to adopt. Keep in mind that this adoption incentive is only available for untrained horses and burros. If you choose to get a gentled or trained mustang via one of the avenues below, those horse are not eligible for the incentive. Are you worried you don’t have the experience necessary to train a completely wild mustang? Maybe you don’t have 6’ tall panels. Luckily, there are several programs in place where you can adopt a halter trained mustang. Typically, a halter trained mustang can be haltered, lead, load into a trailer and pick up all four feet. Any additional training beyond that is typically the responsibility of the adopter. Sometimes, trainers will teach additional behaviors like tying, saddling, etc. Always communicate with the trainer of the horse you are thinking of adopting to find out what the horse knows and what he needs work on. 1. Adopt a mustang from a TIP trainer. The Trainer Incentive Program (TIP) is run by the Mustang Heritage Foundation. It’s purpose is to work with trainers to pickup and gentle wild mustangs. The trainers then find an adopter for the mustang. The benefit to you, as the adopter, is that you still usually only have to pay the $125 adoption fee. A trainer can ask for additional training money if they like. Some trainers go above and beyond and start getting the horse ready for a saddle and rider. If budget is an issue, you can find gentled mustangs for $125 if you look around. 2. Adopt a mustang from a Mustang Competition. Mustang competitions are starting to become more and more popular. 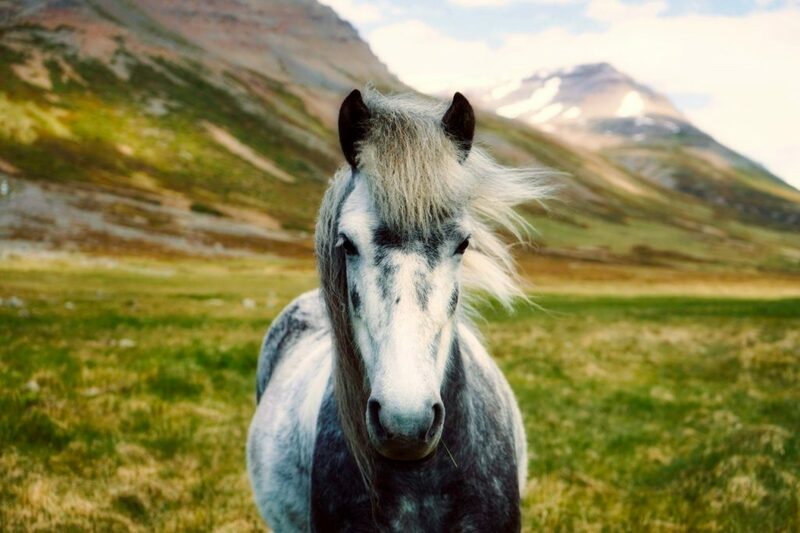 Trainers generally must pick up a completely wild mustang within a certain pickup period and then train it and get it ready for the competition. Most competitions hold an adoption event when the competition is over to help mustangs find new homes. 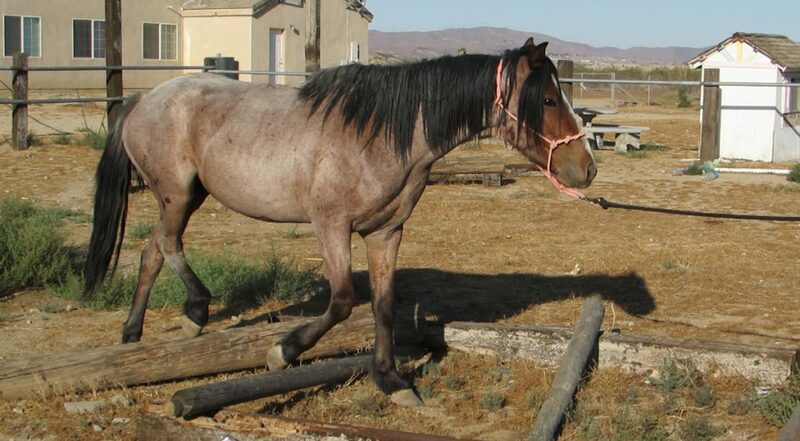 This is a great opportunity to adopt a gentled mustang, and one that has show experience! 3. 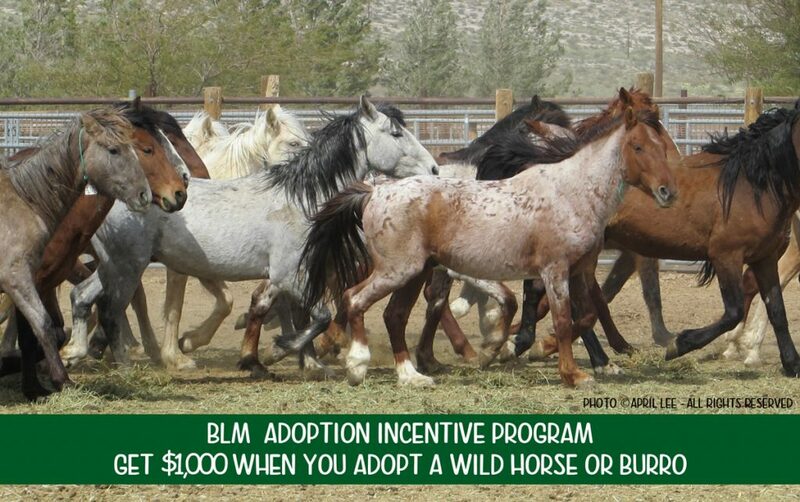 Adopt a mustang from a BLM sponsored training program. The TIP program is largely funded by the BLM but there are other training programs as well. Keep in mind that these facilities are typically closed to the public so you should contact them to get information about scheduling a visit or attending any upcoming adoptions they may have. 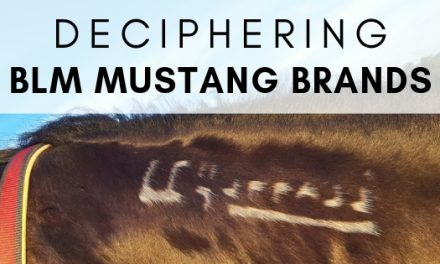 For those of you looking to adopt in California, the BLM has partnered with the Rio Consumnes Correctional Center to offer gentled mustangs for adoption. Located in Elk Grove, the BLM has partnered with the county jail for this wonderful inmate training program. Northern Nevada Correctional Center has a training program where the prisoners gentle and even saddle train mustangs. 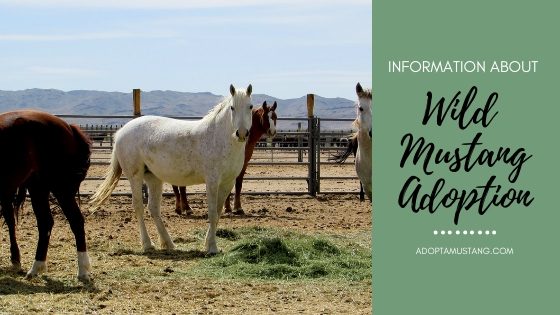 While this facility is not open to the public, they often have adoption days and it is worth keeping an eye on them to see if they have any halter started animals available. The Hutchinson Correctional Center is a partnership with the Kansas Department of Corrections that also offers halter and saddle trained animals. Mantle Ranch in WY is another one. They often have halter started horses available in the online adoption. They have been working with the BLM since 2008 to help get horses adopted. Wyoming Honor Farm is another prison mustang training program. This minimal security correction facility works with inmates to gentle and train horses for adoption. 4. Adopt or purchase a mustang from a private party or rescue. Mustangs can also be acquired privately just like any other horse. Some mustang trainers will adopt or buy a few different mustangs from the BLM for a competition and train them. Sometimes not all of the horses wind up competing so they give them some good skills and offer them privately to new homes. Occasionally a horse will also end up a rescue. Once a BLM mustang is titled they cannot be returned to the BLM any more. That means that if someone can’t feed or care for their horse the horse may wind up at a rescue. These can be great places to get gentled or trained BLM mustangs. Saddle-trained mustangs can typically also be found at any of the four places you can get halter-started mustangs. Typically, saddle started mustangs are offered for competitive bid only. The great thing about the competitive bid on these saddle started mustangs is that you can sometimes get a great riding horse for not a lot of money. 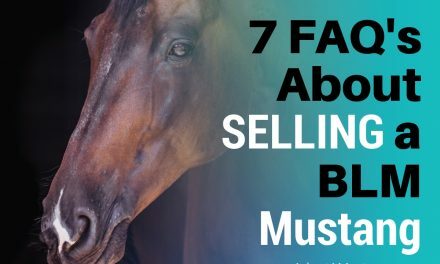 You should keep in mind that most of these horses are going to be considered “green” but they will often go for prices under what you would pay for a domestic horse at private sale. The Extreme Mustang Makeover gets the most publicity for saddle-started horses because of the size and showmanship at the events. 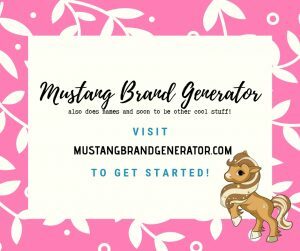 These events are fun to attend if you are just being introduced to the mustang world but, because of their popularity, you may pay more for a horse at a makeover event than you would at a prison training program auction, for example. Regardless, any adoption event near you is worth checking out! Here is a video showing the 2017 Mustang Magic horses. So what will your next step be? You’ve done some research, learned some facts and hopefully visited some links above. Make a plan to make your dream of mustang ownership come true! I’m only interested in burros where’s the information on them? Hi Lis we are working on an article specifically about burros. 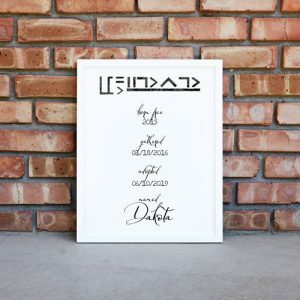 That is coming very soon!